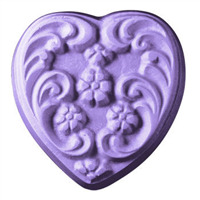 The Heart Blossoms Soap Mold’s cavities are oval shaped with a blossoming plant growing out from the top of a heart. 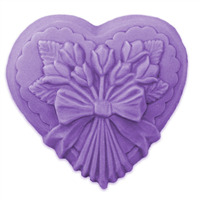 We believe this lovely design represents the growth of love in our hearts. 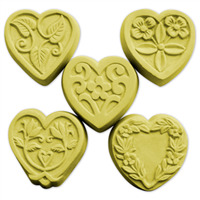 COMMENTS: I was a little worried that my melt & pour bars would not remove easily from this mold but that was not the case. 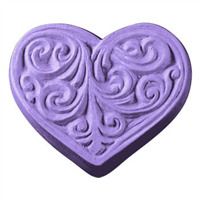 This mold makes some beautiful soaps and was very easy to work with. I am very pleased with this addition.